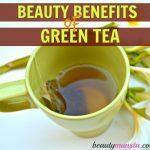 12 Beauty Benefits of Tamanu Oil - beautymunsta - free natural beauty hacks and more! 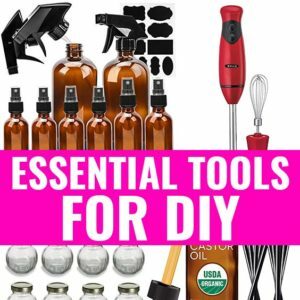 beautymunsta - free natural beauty hacks and more! Tamanu oil is an exotic and precious oil with a rich history. Thousands of years ago, the native Tahitian people discovered a strange looking tree growing near the ocean. It produced green fruits that contained nuts. When the nuts were dried and squeezed, the people found that it produced a greenish yellow oil. And this oil had luxurious moisturizing qualities to it! The people soon used this oil as a moisturizer, sun protectant and natural healing substance for their skin and hair. 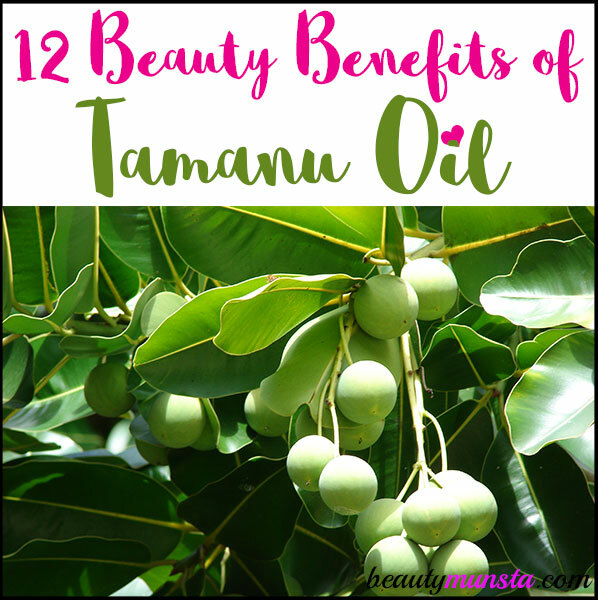 In this post, we’re going to look at the ingredient profile and exquisite beauty benefits of tamanu oil! This exotic oil originates in Polynesia (Pacific Ocean Islands). The local Tahitian people used it for skin and hair care. 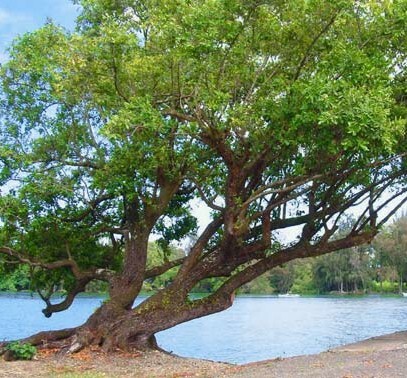 The tamanu tree is also native to coastal South India and the tropical coast of Africa. It’s also found in Malaysia and Australia. 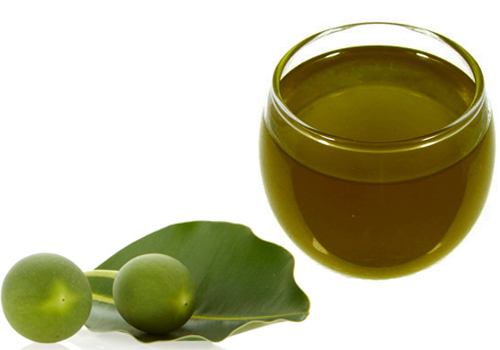 The color of Tamanu oil is a greenish-yellow. It has a rich deep scent that’s somewhat nutty. Some find it slightly sweet while others say it has a pungent smell. Before using tamanu oil, do a patch test by applying about ¼ tsp on your inner arm. If there’s irritation within 1-2 hours, do not use the oil. 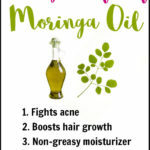 Be careful if using this oil on oily/acne prone skin because it may clog pores. Check out: List of Non-Comedogenic Oils for Skin. Instead of using it as a moisturizer on oily/acne prone skin, you can use it on small areas such as fading a scar, healing blemishes or spot treatment for acne. If you’re pregnant or nursing, consult your doctor before using tamanu oil. Store tamanu oil in the refrigerator to lengthen its shelf life. As you can see, it’s rich in fatty acids that have emollient and healing effects on skin. Some of the properties of tamanu oil include: antioxidant, anti-inflammatory, regenerative, healing, moisturizing, anti-bacterial, anti-parasitic properties. Tamanu oil makes a perfect all-natural eye serum. It is filled to the brim with antioxidants that protect skin from premature aging. It also has a thick serum-like consistency that penetrates deep into skin. To use it as an eye serum, simply place a drop on your ring finger then gently dab it under your eyes. You can even combine ingredients like anti-aging essential oils and create an even more powerful serum! Just add 1 tbsp of tamanu oil into a 1 oz amber glass dropper bottle, followed by 1 drop of lavender oil and 2 drops of frankincense oil. Shake well and apply just a drop under each eye. As we saw above, tamanu oil is filled with fatty acids. These acids lubricate and nourish skin, which maintains its elasticity and firmness. Tamanu oil also has antioxidants that fight off free radicals which are known to cause fine lines and wrinkles. 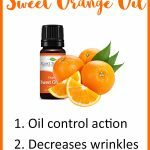 Make your own wrinkle-smoothing serum as follows: Into a 1 oz amber glass dropper bottle, add 1 tsp tamanu oil, 1 tsp pomegranate seed oil and 1 tsp vitamin E oil. Now add 2 drops frankincense oil, 2 drops sandalwood oil and 2 drops lavender oil. Close the bottle and shake well to combine. Use your serum after cleansing your face to assist in smoothing out wrinkles. Did you know that Ancient Polynesians used tamanu oil to heal all sorts of wounds? Since this precious oil is antibacterial, anti-inflammatory and moisturizing, it speeds up the rate at which wounds heal. Gently apply it on nicks, cuts & scrapes, bug bites, burns, sores and other sorts of wounds, using a cotton ball, to quicken the healing process. Tamanu oil is moisturizing to the skin. It actually has a slight astringent effect even though it has a thick texture. If you have dry skin, you can combine 2 tsp of tamanu oil with ¼ cup of avocado oil. Store it in a 4 oz amber dropper bottle and apply a few drops all over your damp skin before toweling off in the shower. For normal skin, combine 2 tsp of tamanu oil with ¼ cup of jojoba oil and use as directed above. Got any kind of scars? Whether from acne, surgery, chicken pox or any other cause, tamanu oil can help! Simply place a few drops of tamanu oil on a cotton ball and gently apply it on the scar if it’s wide. If you have acne scars, apply the oil using a q-tip 3 times a day until the scar fades off. You’ll be fascinated to see how fast it disappears with tamanu oil’s excellent skin regenerating properties! Polynesians used tamanu oil on their skin to protect it from harsh sunlight. It actually has UV protectant properties. So you can consider applying a thin layer of it all over your body then applying your usual sunscreen. If you’re olive or brown skinned or tend to tan rather than burn, you can use it on its own as the Natives did as a natural sunscreen! Tamanu oil is also healing and soothing on sunburns. Tamanu oil is good for any kind of skin eruptions because of its antibacterial and anti-inflammatory properties! To use on skin rashes, simply get a cotton ball and place 4 drops of tamanu oil and 2 drops of tea tree essential oil on it. Dab the rashes with the cotton ball after a shower to soothe and heal the rashes. Get a Pyrex measuring cup and add ¼ cup of shea butter and ¼ cup of cocoa butter. Now get a pot and fill it with ¼ cup of water over the stove on a medium-low heat. Gently place the Pyrex measuring cup inside the pot. Make sure the water doesn’t get into the Pyrex cup. The water will heat up and gently melt your shea & cocoa butters. Once melted, remove from heat, let it cool down slightly then add 1 tbsp of tamanu oil. Keep the Pyrex cup in the refrigerator for 15-20 minutes. Then get it out and add 7 drops of lavender oil. Whip up the partially solidified mixture with a hand mixer till creamy. Your stretch mark cream is ready! Store in a sterilized jar and rub liberally over your stretch marks every night. Because of its antibacterial properties, tamanu oil is also good for treating ingrown hairs. After taking a hot shower so your skin pores open up, get a cotton ball and place 3 drops of tamanu oil and 2 drops of tea tree essential oil. Rub it all over your shaved skin to prevent and treat ingrown hairs. A MICRONA – October 2002 study found that tamanu oil has a good inhibitory effect on bacterial growth, particularly on Propionibacterium acnes, which is an acne-causing germ. This shows that tamanu oil is good for treating acne! However, I would advise against using it on your face as a moisturizer. This is because it has a comedogenic rating of 2, meaning it might clog up your pores. So instead, use it as a spot treatment! Just get a q-tip or cotton ball and add 1 drop of tamanu oil and 1 drop of tea tree essential oil. Dab it on the acne affected areas and go to bed. The next day, wash your face thoroughly with a good natural anti-acne facial cleanser. I like Thursday Plantation’s tea tree cleanser. Tamanu oil can naturally treat and get rid of fungal infections on the skin or scalp! Just place 4 drops on a cotton ball together with 1 drop of oregano essential oil. Now dab it on the fungal infections only. Do this every after a shower to fight off the fungus growth! You can also plaster the cotton ball on the area if it’s a nail fungus issue. Caution: Always dilute oregano oil. It’s very potent and can cause chemical burns on skin if used carelessly! When it comes to promoting healthy hair & scalp, tamanu oil is your oil. It seals moisture, restores hair shine, fights scalp fungal infections and reduces scalp inflammation. 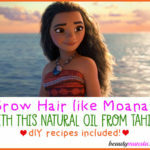 Consider adding a tsp of tamanu oil to your shampoo or conditioner to experiences its wonderful hair benefits! Always look for 100% pure high quality tamanu oil without additives. 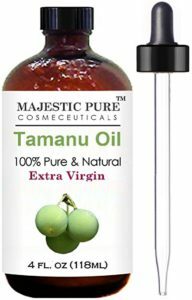 My recommended brand of tamanu oil is Majestic Pure’s 100% Pure & Natural Extra Virgin Tamanu Oil. It comes in a 4 fl oz amber dropper bottle. Majestic Pure is a trusted brand that you can safely use! 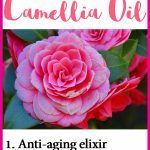 11 Captivating Beauty Benefits of Camellia Oil for Heavenly Beauty! The information on this website is not substitute for medical advice and is for educational purposes only. Please consult your health care practitioner before undertaking any health changes. Before applying anything on your body, please do a patch test with it first. © 2018 beautymunsta.com All Rights Reserved. The material on this site, including images, are copyrighted and may not be reproduced, distributed, transmitted, cached or otherwise used, except with the prior written permission and consent of beautymunsta.com.